Classic All Blacks rugby represents the finest players of yesteryear while celebrating the heritage of New Zealand rugby. 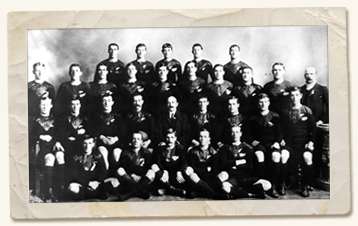 It all began in1884 when the first rugby team to represent New Zealand embarked on an international tour to Australia. They played nine, won nine. From these humble beginnings, All Blacks rugby grew to become the benchmark by which the game is measured. Today, Classic All Blacks rugby honours the achievements of the past as it celebrates the heritage of New Zealand rugby. It is here that the Classic All Blacks story begins. Following the success of the Classic All Blacks matches in Leicester & Japan in 2008, team management are in the process of putting together the 2009 itinerary. Classic All Blacks Corporate Polo Shirt.